77 years ago (April 18, 1942), 80 brave men did what had never been attempted: they flew 16 army B-25B Mitchell bombers off a U.S.
For many years, jazz great Marian McPartland welcomed some of the biggest names in - and out of - jazz to her NPR program, Marian McPartland's Piano Jazz. March 20, on the 101st anniversary of her birth, an evening of McPartland's music inaugurated a new music series, Live in the Lobby, offered by Columbia's Koger Center for the Arts. A growing new website is now available that enables both scholars and the public to access photos and information about the natural history of South Carolina. Many people enjoy traveling by air. But after Oct. 1, 2020, they won't be able to board a commercial airplane in the United States, UNLESS they have the new "Real ID." 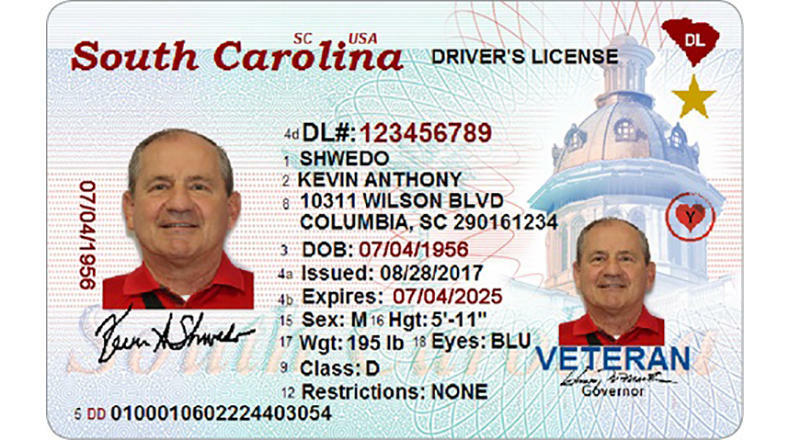 The new ID will replace current drivers' licenses and ID cards, and will be needed for people to gain entry to certain secured federal buildings and all military posts, as well as to board planes. Lauren Phillips of the South Carolina Dept. In the 1960s, Renato Moncini attended every rocket launch at Cape Canaveral/Kennedy on his own time. Here he readies his materials to paint one of the launches. Credit Courtesy of the artist. Greenville artist Renato Moncini is a native of Italy, but between his journey from his homeland and his long residence in the South Carolina Upstate, he served more than a decade as what some call the "first artist of space." South Carolina to See a "Super-Wolf-Blood Moon"
Sunday, Jan. 20, South Carolinians will get a rare treat from the sky, as three events come together to form what some are calling a Super-Wolf-Blood moon. A wolf moon is simply a traditional name for the full moon in January, and happens, obviously, every year. However, this year it's occurring at the same time as a super moon, which S.C.